President and CEO of Logel Homes, Tim Logel (Center), with sons Kevin (Left) and Brayden (Right). For Tim Logel, president and CEO of Logel Homes, 2017 was an excellent year. 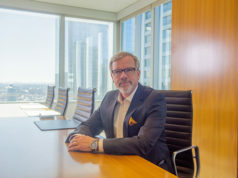 Not only did he launch his namesake company in May – the culmination of 40 years in Calgary’s homebuilding and real estate industries – his other company, multi-family builder Cardel Lifestyles (which he co-founded and has been president of since 2000) had its best year in 17 years. If that weren’t enough, Logel and Lifestyles were each recognized, through seven different awards, as leaders in the industry and city. The year, it is safe to say, was a great one. And much satisfaction it has given him. In 2017, the company had the most closings ever, with 273 people moving into their town home or condominium during the calendar year. 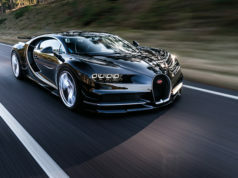 It had an impressive 241 sales, and has led the multi-family segment since 2006 for sales and permits. To top it off, Lifestyles was named Alberta’s Multi-Family Builder of the Year at the Alberta Awards of Excellence in Housing. The award is based on four criteria: sales, customer service, site safety and construction/design, and is a testament to the company’s excellence in all four areas. In addition, Cardel Lifestyles has been named one of Canada’s Best Management Companies two years in a row. Logel had, to that point, been in the Calgary real estate and building industries for over 20 years. He started as a Realtor in the late 1970s. After selling a new home for Del and Carol Ockey (founders of Cardel Homes), he began selling homes for them on a regular basis. By 1988, he was Calgary’s top real estate agent and would remain so for the next five years. “In 1990, I was Re/Max Canada’s number one Realtor and number three for Re/Max around the world,” Logel says. He eventually moved into marketing and then sales at Cardel Homes. In 1996, he gave up his real estate licence to take on the role of VP at Cardel Homes. “Those days were foundational for teaching me the things I needed to know to become a builder,” he reminisces, “but that was always my lifetime goal, to make my first investment in a piece of land and begin.” In 2000, his vision of a multi-family division finally took root in Lifestyles. In 2005, Logel gave up the position of VP at Cardel Homes to focus solely on condominiums and town homes. 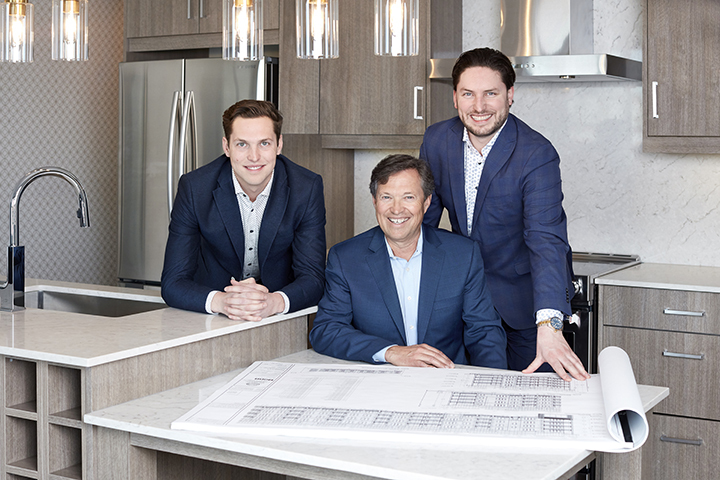 Since 2000, Lifestyles has completed 16 developments, primarily in suburban Calgary, with over 2,750 condominiums and town homes. Logel uses good old-fashioned verbal communication to learn from his customers, as well as a third-party surveyor called CustomerInsight. “With the [CustomerInsight] data we have a whole spectrum of input from customers that we can sift through and come up with new goals and action items to improve,” he says. The surveys are sent to customers one month after move in, and then a year later, to measure the level of satisfaction in all areas of the home-buying experience. “We have been thrilled that we were winner of the prestigious Home Owner Mark of Excellence for best experience for Calgary multi-family builders for three years in a row,” says Logel. Customization is another way Logel appeals to his customers. “We believe that allowing customers to put their own signature on their condominium or town home, even though it’s in the affordable price range, has been a big reason for our success.” Appliances, cabinet colours, countertops, floors, lighting and many other aspects of a unit can be customized. Logel also credits his customer-focused, in-house team (now at Logel Homes) which includes the acquisition, design, sales and marketing, construction, administration, finance and customer service functions. “I have a strong belief that there is very little better in a company than collaborative teamwork,” he says. Sons Brayden and Kevin, each of whom have been exposed to and involved in the business from a young age, are now integral to that team (Logel also has a daughter, Jenessa, who lives and works in New York City). Brayden is vice president of sales, marketing and customer experience, and Kevin is the site superintendent at Auburn Rise. Logel’s brother, Brad Logel, who has worked with Logel for over 15 years, is also continuing on at the new company as an area manager. A philosophy he follows in the rest of his life. “I just try to live a full, healthy, active life,” he says. This includes running, skiing and spending time with family and friends at his cabin on Shuswap Lake. He and wife, Sherri, give back to the community as well. For example, Logel Homes is one of 11 builders involved in the RESOLVE campaign to end homelessness in Calgary. Sherri is a member of the board of the Calgary Women’s Emergency Shelter and chairs its resource development and communications committee. She is also co-chair of its Turning Points gala. With an excellent year in the books, Logel anticipates many more to come for Logel Homes. His company, his sons’ new ideas, his approach to the business – all will continue to build on what’s been achieved. The legacy is well underway.